Immerse yourselves in God’s creation with this 4 day adventure trip. 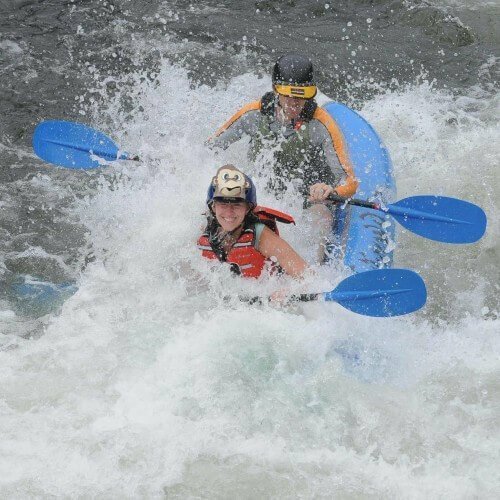 We’ll spend four days challenging ourselves through a variety of activities including 1 day canyoneering, 1 day rock climbing, and 2 day of class III rafting on the South Fork of the American River or High School groups can bump it up to Class IV California rafting on the Ruck-A-Chuck for just an extra $32/person per day. This was our best experience at Rock-N-Water to date – and that’s a high bar. Our guides built a strong connection with youth across ages and still possessed a leadership that pushed our youth to grow both as individuals and together. It was a beyond fantastic week. Mason enjoyed his time at Rock-n-water. He loved the experiences and the people who run the camp. He also said the camp food was excellent! Participating at rock n water was the most challenging and rewarding experience of my life. I am so greatful for the staff and their passion for helping develop healthy, christ centered relationships and supporting all participants in overcoming know and unknown fears. The trip overall was amazing and memorable ultimately helping me reach new levels of faith in my relationship with God. I’d recommend rock n water to anyone and everyone especially if they truly want to experience the power and beauty of the Creator. Wonderful. 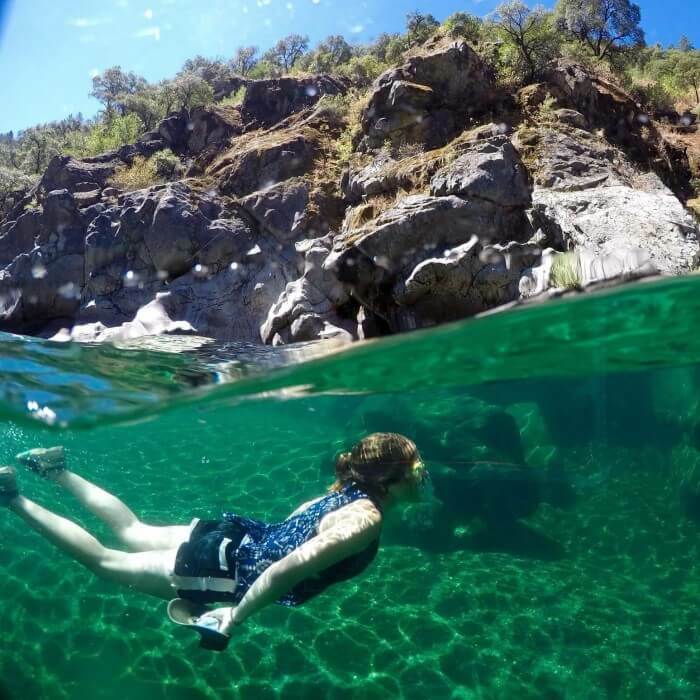 Sara was a friendly, outgoing and experienced guide. Her confidence and reassuring words really encouraged the junior high kids. It was physically challenging but I had fun. The guides tried to make everything we did enjoyable. Loved the food, especially the dill sauce, cobbler and tacos. Campsite is a great location. My experience at Rock-N-water was absolutely fantastic!! By far the greatest thing my youth pastor could have ever exposed me to! It opened up a path for my life that would have never in a million years saw coming and was truly God working through my youth pastor and through the staff that put me in the right place at the right time and changed my life! Pushing students beyond their comfort zones and exposing them to God’s creation. I went to summer camp at Rock-N-Water almost 5 years ago and have been to many many other large and small camps sense. Rock-N-water is most definetly my favorite and I hold tightest to the memories that I created there as a student! this is the type of experience that doesn’t only impact the lives of those that attend, but brings lasting spiritual impact to the whole family! When Jeremiah returned home, he expressed he had a wonderful time. The lessons he learned while attending your camp will be with him for a lifetime. My wife and I are very appreciative of both the spiritual and life lessons he learned at camp. Rock-N-Water is such an amazing area to get away and disconnect. It fills your day with so many fun activities, and the guides are so amazing! I love how they make even the smallest things, Christ centered! It was really fun and i enjoyed the connection i made with other people. Though i was scared several times when we were doing activities. Great experience not only for the kids but the leaders as well. Looking to maybe have the leaders retreat! Really amazing! It was challenging and fun! Staff was awesome, food was great! Thank you guys for joining our group and making us feel taken care of. He had a blast .. In a word, wow! It was a great mix of adventure in nature with memorable lessons in God’s wonder. We were safe and well fed. I would have liked the staff to be more organized and kid focused. So much of our group time included the counselors sharing inside jokes and making a scene with one another. Other than the heat (which was meant to be) it was a wonderful experience. Your staff is top notch and I would recommend your camp to all that I know.Our guide Josh Johnson was the perfect mix for our small group. We appreciated his enthusiasm, patience and passion. In addition Karen Asselin was our other chaperone and we had the privilege to get to know her kids, James, Ellen and Zachariah. You are clearly doing something right to keep attracting the team that you have. I loved the upbeat attitude that all the staff had. The food was altogether very tasty and the program layout felt natural, exciting, adventurous and safe. The bathrooms could use an update, and a few more activities during free time. Amazing experience! It was fantastic! excited to come back again this year! Rock-N-Water is home to many of my favorite memories, and I will forever cherish the wisdom I gained about myself and my relationship to God. The leaders are all so caring and capable on all of the adventures—a brilliant staff team like this is what makes a summer camp go from good to great. The food is excellent as well! We had a Most Wonderful River Experience!! Thank You!!!! We had a blast! Our Leader Jake was awesome! We are coming back for a 2nd year! How could it be any better? Katrina attended camp at Rock-N-Water many years ago. She now works as a camp counselor, herself. She did love the camp, had a great experience, but should be removed from your mailing list. It was an amazing experience! Our church youth group was blessed to have Jacob Johnson lead the charge into things. He’s an awesome guy that encouraged all of us to go outside of our comfort zones and find God in the simple places. I had an amazing experience… No, not the kind of solid experience that you’re thinking of. Overall, I am more than satisfied with the food, environment, counsellors, adventures, etc. Keep doing the great work that you’ve been doing! I loved Rock & Waters! It was a great way to connect with God, through amazing counselors and fun activities. Everyone was very nice, and the food was amazing!!! Thanks V, and all the other counselors! It was absolutely epic. The guides were awesome, the adventures were so much fun and it was all together an amazing time of fellowship!! Would definitely go back any time of the year! I loved the organization of the campsite and schedules for the activities. 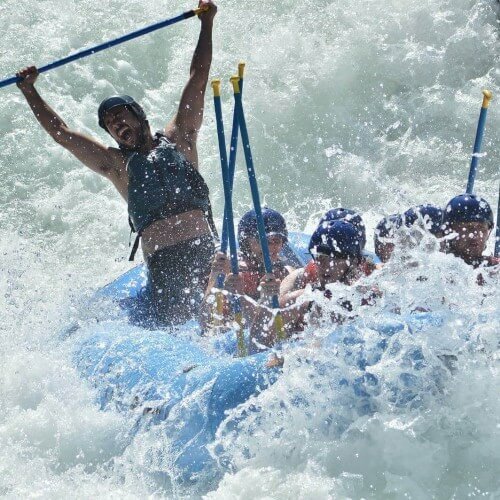 Every single leader was extremely engaging and commanded the rafting team perfectly where there were very little to no crashes/getting stuck. They all loved us and other groups and brought a great sense to the camp. The overall experience was incredible and I would suggest it to anyone looking for a camp! The staff truly cares about everyone who comes to camp. They take time to get to know the campers and pray for them! The staff is also very attentive during adventures to make sure everyone is staying safe while also being encouraging and positive!! The bathrooms were always immaculate (thanks Tyler!). And the food was always super filling and just what we needed after adventuring. I’m super grateful for the opportunity to come to rockn water and hope to someday come back! I will recommend this place to everyone I know. It is a nice balance of religion/fellowship and activities. You have an amazing organization and I can’t wait to come back for years! Rock-N-Waters is the best camp I have ever been to. It had a mix of fun, adventures, and spending time with daddy God. I would definitely like to come back and work here when I turn 16 in 2 years. The guides were so helpful and joyful. The food was also amazing. I hope to return next year and make more memories with my family in Christ. I loved my trip with Rock N Water! As one of my volunteers said, “I can;t believe this camp actually exists.” The range of things we did outdoors was wonderful. The guides were great, the food was great, and the camp itself was great. Overall, I really loved it and plan to come back. Here are my few notes to help improve… 1) On all-group campfire, it would be helpful to give the guides some more feedback or prep for their talks. I realize this may be a stretch for many of them, but it is an important thing for my group to hear quality talks each night since the day is packed with so many activities. My group night was just okay and the speaker could have used some work. 2) It would be good to give more directions to kids during adventure quiet times. For my group, many of the kids are new to the church/ faith and they didn’t know what to do during these times. 3) I would suggest having guides give mini-talks at each adventure about how this adventure displays something about God. It is such an amazing experiential lesson time and sometimes I felt we didn’t really talk about it. Still, overall, this is an amazing camp. I am excited about coming back next year! I loved camping there and had a great time! Our group had a fantastic time! The guides were so phenomenal at what they do that we felt very secure to try activities outside our comfort zone. It was a week full of physical and spiritual growth! Thank you! 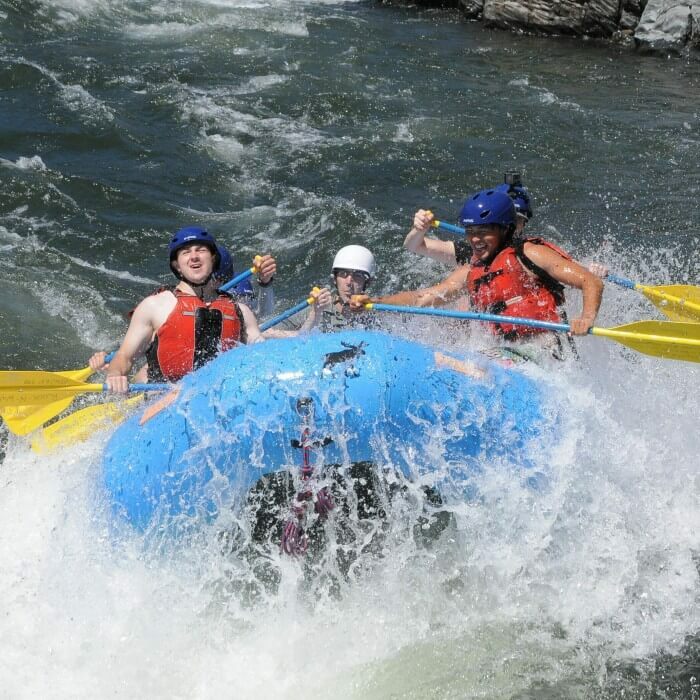 I was very happy with the white water rafting! I was nervous at first but, then realized people do it every day and I was happy to not get fly off. The afternoon after rock climbing was see to me in a different perspective. I struggled through the whole day of bouldering. We went upstream because of the search and rescue crew that was out looking for a body. I would say the staff was great with how they climbed rocks but, I never settled in to a mind set where I was comfortable. I would say instead, what was running through my mind was how dangerous and un-safe it looked and felt. 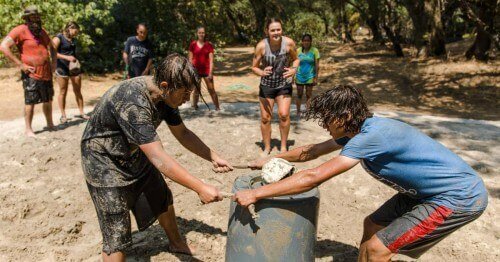 I attended Rock-N-Water 5 summers and I wish I could go back! My relationship with God improves with each trip, and I have combatted many fears while adventuring. The guides are always friendly, knowledgeable and enthusiastic. The Youth Group loved it, the variety of activities were enjoyed by all. Food was great. Reading scripture in the woods was awesome. We are so far away we have to fly and with flights being so expensive we are limited to when we can attend camp. If flights decrease we would attend again and again. We love going. My kids do the happy dance when we say we’re stopping by. It was awesome! I loved everything about my experiences at Rock-N-Water, even in spite of losing my new eyeglasses one year. You rock! A wonderful camp experience and a wonderful faith building experience for the youth of our church! 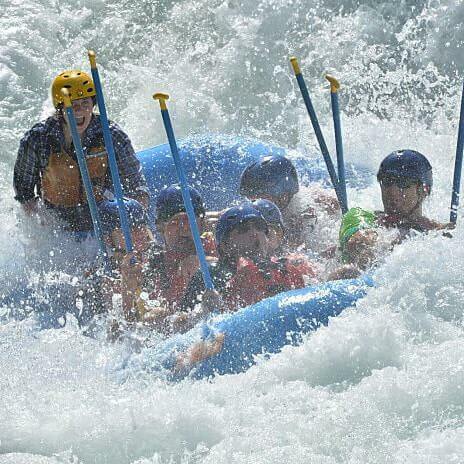 We have always had very positive, life changing experiences, very worth the time we spend at Rock N Water.